I was back home in Pittsburgh recently, and my parents finally asked me to clean out my childhood bedroom. After almost a decade away, I surveyed the wreckage of my youth: Le Tigre CDs, Bruce LaBruce zines, John Waters DVDs, Dennis Cooper books, Dior Homme ads ripped out of magazines—things that signified the cool life to a Pennsylvania teenager searching for one in the early 2000s. Amid the stacks were old copies of the one thing that seemed to synthesize it all: index Magazine. Started in 1996 in New York by artist Peter Halley and curator Bob Nickas, and now honored with a new coffee table tome by Rizzoli called index A to Z, it was a thorough compendium of everything that mattered in independent, downtown New York music, art, fashion, poetry, punk and film. index was the perfect name for it: each issue was a straightforward cheat sheet on a vast alphabet of artists. Over the years, subjects included Parker Posey, Alexander McQueen, Eileen Myles, Fran Lebowitz, Harmony Korine, Kathleen Hanna, Helmut Newton and Hedi Slimane. But it’s the blunt, casual presentation that really made index feel special. Photographs by Wolfgang Tillmans and Juergen Teller looked like they could’ve been shot on disposable cameras, and interviews were chatty and fun. The dominant typeface, a simple Courier, seemed fired off from an old typewriter, as if index were some brilliant, homemade zine. There was a radical realism to it all that made you feel close to the glamorous people that mattered to you, as though they were just like you, and one day, you might be able to join them. Flipping through Rizzoli’s retrospective book today, the effect is just the same. Even though the magazine ceased publication in 2006—a casualty, perhaps, of an internet age in which intimacy with celebrities was no longer such a novelty—I moved to New York in part because of it. 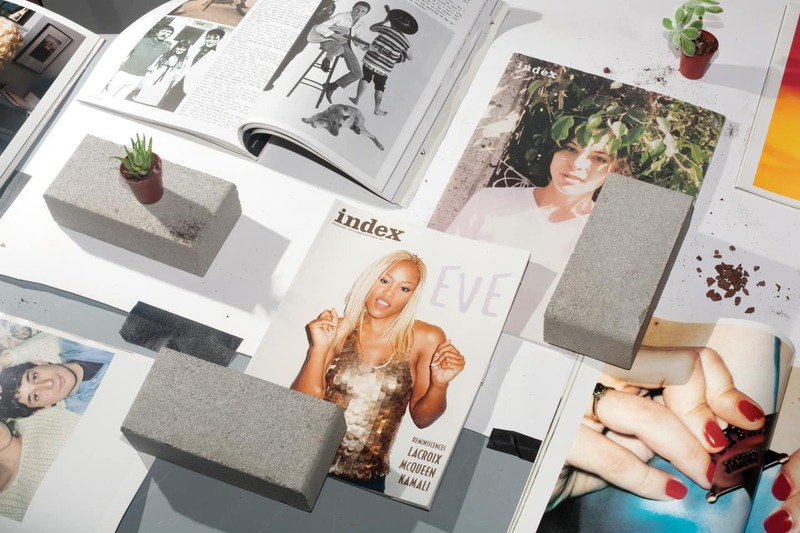 In fact, I ended up becoming an editor myself, and the goal of producing a magazine just like index—one that might make someone stuck in high school in Pennsylvania want nothing more than to leave home and join us here in New York, surrounded by all of our favorite people—is never far from my mind. index A to Z is available now via Rizzoli.